Make your favourite accessory – your way. 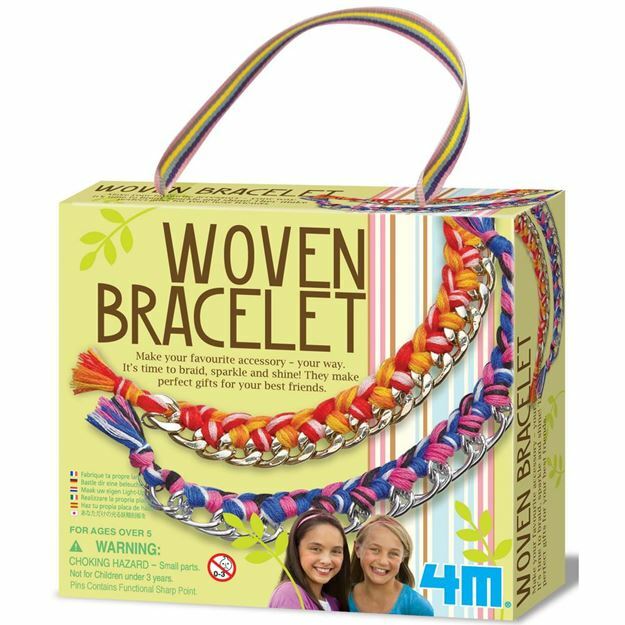 It’s time to braid, sparkle and shine with the 4M Woven Bracelets craft kit. Age 5+ years. Distributed in New Zealand by Holdson.